Brad and Myke are back from their travels and in front of the mic once again to discuss all things stationery. 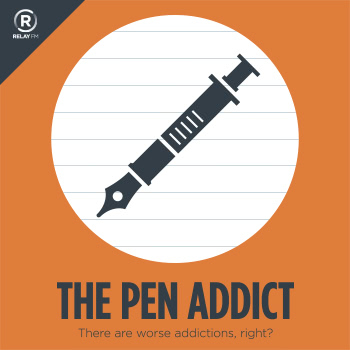 We recap the Raleigh Pen Show and discuss Brad’s recent Kickstarter activity, plus the sadness of the new Star Wars Lamy pens. Harry's: Get $5 off any Harry’s Shave Set, including the Limited Edition Father’s Day Set. Franklin-Christoph Wood Art 1901 Pencils — the weekly pencil. Sinclair - Zip Three Pen and Notebook Case — Nock Co.